I love me some good mahi mahi. And here's a fun fact about mahi: my husband actually caught a mahi back in May! 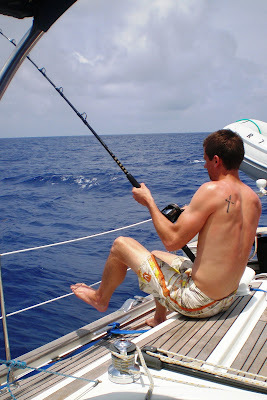 We were on a sailing trip down in The Bahamas with some of our friends, and Evan caught my favorite fish. I mean, life is just great. 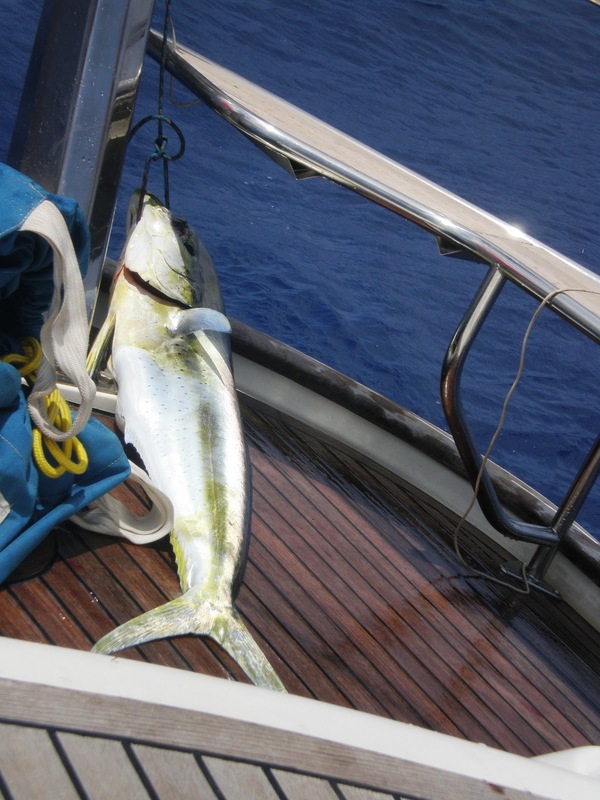 So now whenever we enjoy the gloriousness that is mahi mahi, I always think back on our sailing trip. Don't you just love how food can do that? Here's a super easy way to cook mahi - just lemon, thyme and olive oil. Enjoy! Place the slices from one lemon in a baking dish, covering the bottom. 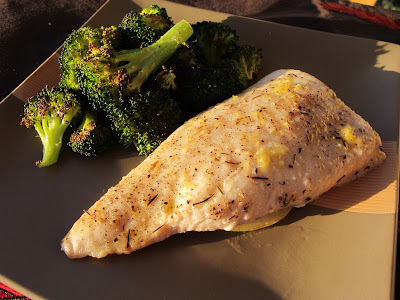 Season fillets with salt and pepper, then place on top of sliced lemons. Drizzle with the juice of one lemon, zest and olive oil. Sprinkle with thyme. Cover with lid or foil and bake for 16-20 minutes - until fish flakes easily with a fork. WOW, now that is one HUGE fish! Good for him! We love Mahi too and yours looks beautiful! A nice light recipe with a veggie! BEAUTIFUL!